Since NYS is going to approve pain treatment soon (hey guys, get ON it already ! ) 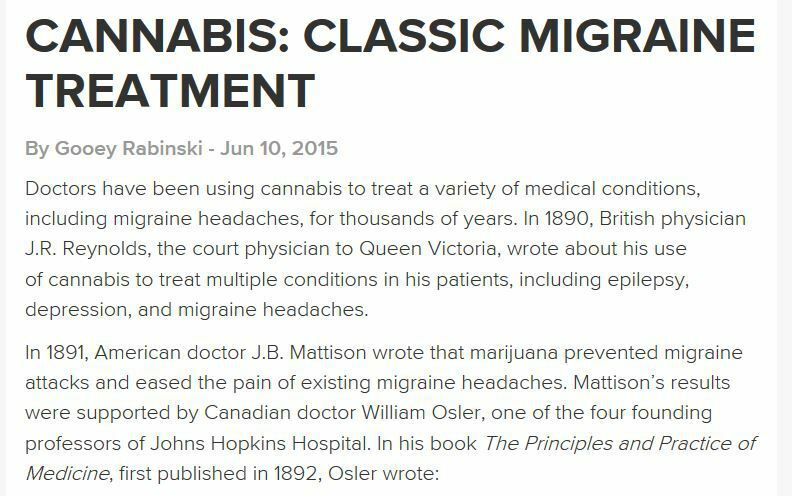 , here's an article about medical marijuana and migraines . So there is some reason to hope that folks with migraines may benefit when NYS finally approves pain as a diagnosis for their Medical Marijuana Program.